From reading lots of blogs and posts about this out of print pattern I finally tracked it down through eBay – in Australia! From my stash I selected a pretty 100% cotton print of bright coloured flowers on a White background. I have many yards of this fabric and decided that for a first stitch-out of the pattern this would be ideal. The pattern has unusual styling in the low set pockets that are incorporated into the seaming panels on the front of the tunic top or dress. 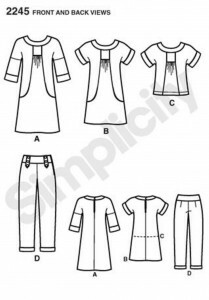 I am making the tunic top and hope that it will be suitable to wear in the Summer with White trousers or cut-offs. For the contrast sleeve bands and the yoke I have used some remnants of polyester cotton in a Bright Turquoise which is a really good match to the colour in the print. 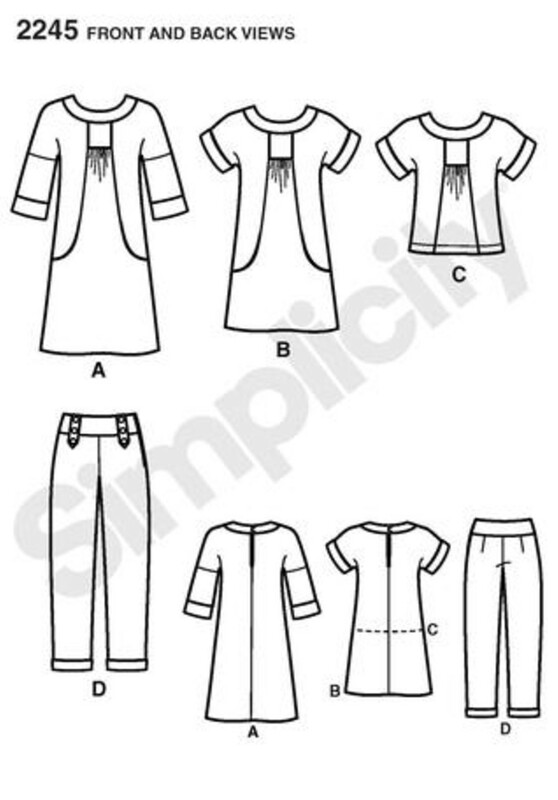 Having read some of the reviews of this pattern in more detail it looks as though the tunic/dress may come up larger than the size indicated on the pattern envelope and also that the button and loop fastening on the rear of the yoke may not be necessary. I have interfaced the sleeve bands and the yoke as they are of a lighter weight than the cotton print but if using a similar weight fabric for the contrast would suggest that only the very lightest weight interfacing is required – if at all. Judging from the comments online it may be that the top and the dress are also on the short side but as I am currently making the tunic I don’t think this is a concern, however I must make a note to check the length if I later make up the pattern as a dress. Too much leg on show is not flattering in one of my advanced years!